On now through February 1st, Dine Out Vancouver is brought to you by Tourism Vancouver and offers fans of fine food the chance to experience some of Greater Vancouver’s best eats for a set menu price. This year, a record-setting 277 restaurants are participating in Dine Out Vancouver with events, overnight adventures, and tastings lasting 17 days. If you’ve ever participated in Dine Out Vancouver before, you know how great an opportunity (and an excuse) it is to sample some of the best cuisine the city, and the world, has to offer. Dine Out Vancouver features set menus that include an appetizer, entree, and dessert at three different price ranges. You can choose a set menu for $18, $28 or $32 at literally hundreds of venues throughout the city. Entry level entrees will typically feature more affordable types of meat, a simpler appetizer, and dessert. The mid-range option is often the most popular, and the high end will be where you find the nicer seafood and richest appies. Don’t forget to book your dinner in advance as many venues are booked well in advance. 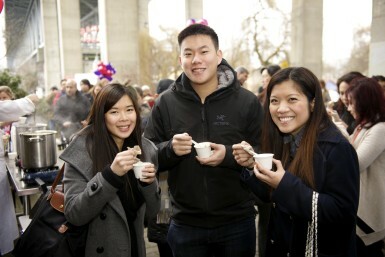 31 unique events over 17 days give even the casual foodie the chance to participate. From brunch and food truck crawls to wine tastings and film screenings, there’s something for everyone. You can learn to take better pictures of your food, learn the subtleties of wine tasting, pair your dinner with dancing or experience a hidden gem. Purchase your advance tickets to certain events at ticketstonight.com now. This year’s select events feature VIP service, including cocktail receptions, gifts, chef meet-and-greets, and priority access. Some events are open to the public though, so don’t worry if you’re making a last minute decision to attend. Just make sure you check out the event details before heading out. 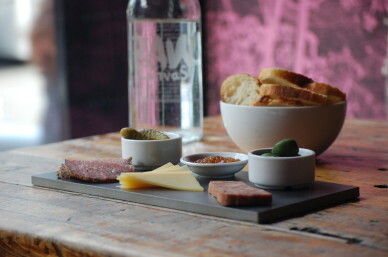 Make a stay-cation of Dine Out Vancouver, particularly if you’re living in the Fraser Valley. You can book a package that includes your restaurant or event of choice with special pricing on hotels starting at just $78 per night. 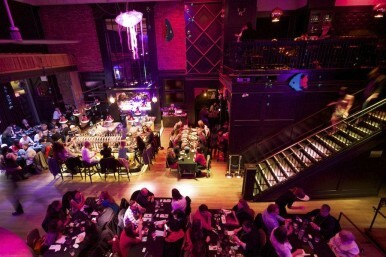 Plan your trip for the final weekend of Dine Out Vancouver and celebrate Valentine’s Day early. Some of Vancouver’s most gorgeous hotels are participating, so there’s no reason to consider driving if you’ve been drinking. That might make enjoying wine or craft brewery tastings a little bit easier. You don’t just experience Dine Out Vancouver, you can also interact with it by documenting your experience. Take pictures and video of your Dine Out night out and could win ‘Dine Out For A Year’ and win 52 restaurant gift certificates, one for every week of the year! Share your pictures on Instagram, Twitter and Facebook and follow @DineOutVanFest. Don’t forget to read the rules and regulations here. The BC VQA Wine Store Contest gives diners at select restaurants the chance to win a $75 gift certificate when they pair a BC VQA wine with their meal. Ask your restaurant if they are participating and look for BC VQA wines on the menu. Enter the contest here, with your code you receive from your server. The restaurants participating in Dine Out Vancouver benefit by attracting new customers just like you. It’s a chance for local, hard working chefs, staff and owners to put their best foot forward and impress critics and the public alike. If you want to support the restaurant you visit, vote for them in The Best Bite Awards here. The winner in each category will receive a hand crafted glass plate by artist Robert Held, but more importantly, they’ll have the opportunity to attract more customers and increase their exposure. Here are some interesting numbers about Dine Out Vancouver. The festival has grown so much over the years, and has truly become a Vancouver tradition. Dine Out Vancouver is a fantastic, delicious way to try food and venues you normally wouldn’t consider. Use the website to find the perfect restaurant by narrowing down your tastes and location. 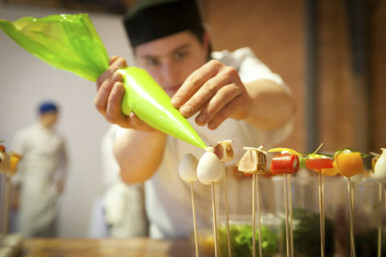 Dare to be different, try something new, and prepare to be wowed by some of the best food in the world. Get started at www.dineoutvancouver.com.